Running events in Greece: how have they become so popular? They say that you get to really know a place only if you walk it. How about if you… run it? Running is surely a fantastic way to deeply know a destination. Fortunately Greece provides many chances for city or countryside runs, even for trail runs. In fact, there are many hiking trails in the Greek islands and across the countryside that were in use until few decades ago. Today these trails have been cleared and are used for hiking or running as they provide great views to the surrounding nature, the sea and local historical monuments. Interestingly a new type of tourism has emerged over the last years in Greece and concerns running. 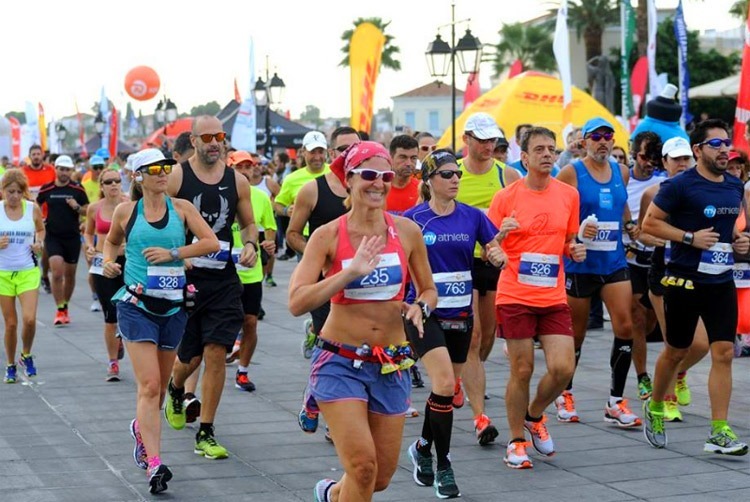 There are many running events in Greece that are frequently organized and attract many international participants. These events take place in various locations and islands around the country. 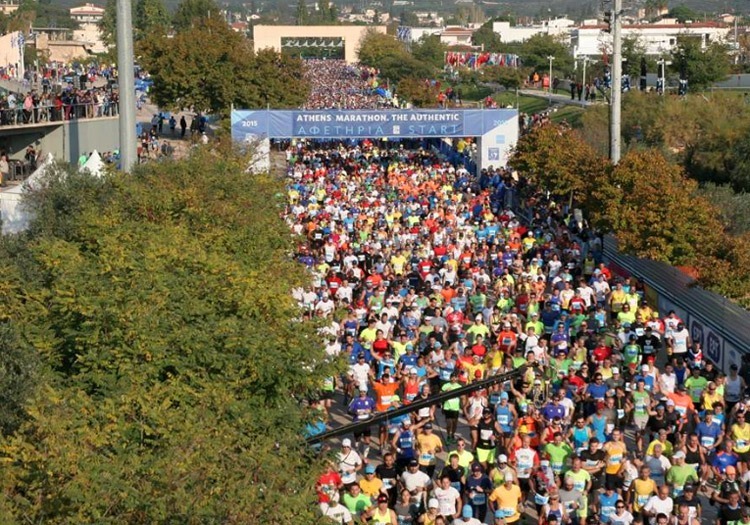 Here are the most famous running events in Greece that usually take place every year. This is the most important running event in Greece and takes place every year in November, attracting more than 40,000 runners every year. It was known as Athens Classic Marathon but last year it was renamed to Authentic Marathon in order to discern from classic marathons in other cities of the world. For 2016, Athens Authentic Marathon will take place on November 13th, 2016. A half marathon is also organized in Athens every April. Spetsathlon is actually the largest triathlon event that takes place in Greece. It includes running, swimming and cycling at the small island of Spetses in the Saronic Gulf and takes place every April. In October, there is also another running event on that island, the Spetses Mini Marathon, that will take place in October 7th-9th for 2016. 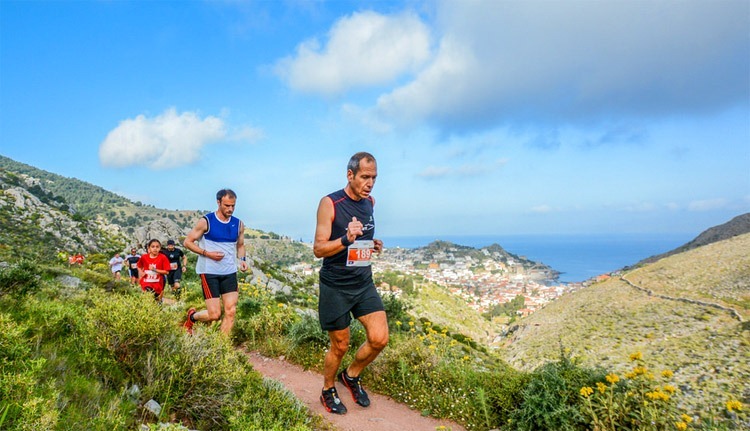 Every year in April, Hydra Trail Race is organized with many Greek and international participations. The traffic-free (no vehicles are allowed) island of Hydra is an ideal place for a trail race. The entire island is crossed by hiking paths and trails that are still in use until today as the only way to get around is by foot, bicycle or donkey. There are many running events in Greece that take place in various locations usually in spring and summer months. Some nice events are Tinos Running Experience in June, Green Lefkada Half Marathon in May, Roads to Rhodes Marathon and International Alexander the Great Marathon in April, Serifos Sunset Race in June, the Two Capital Challenge in Kefalonia (from Argostoli to Lixouri) in October, Ikaria Run in July and many more. An updated English website with running events in Greece is Running Greece.